By virtue of being the only full-service restaurant in the Richmond Automall, Fenders tries to be everything to everyone. There is a little bit of diner, a dash of Chinese food, some Italian and breakfast items. One thing is for sure, they are really friendly here. From the moment we walked in to the time we left, they made us feel at home and valued as a customer. 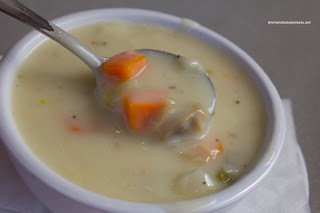 As for the food, I decided to try one of the lunch specials which included a choice of soup - I had the Clam Chowder. Now, if you've ever had clam chowder in a HK-Style cafe, then that describes this one. With no clam taste despite the presence of clams and a creaminess only reserved for starch-thickened broths, this would make most chowder purists cry. However, I have been exposed to this type of chowder all my life and I really didn't mind it. I merely accepted it for what it was - a starchy vegetable soup with clams. 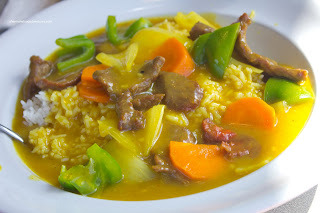 I opted for the Curry Beef on Rice as my main and it was a pretty typical Chinese curry. Ignoring the one piece of beef that was slightly rare (bottom right-hand corner), the rest of it was tender with still some chew. The curry had some spice, yet could've benefited from more salt. The chewy and dry rice was the perfect canvas for the plethora of sauce. 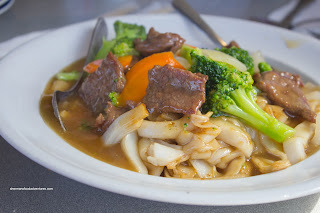 Continuing on the Chinese theme, we also got the Flat Rice Noodles with Beef. There were 2 versions to this dish - one with sauce and the other wok-fried. We had the "wet" version and hence, it would never be as flavourful as the fried version due to the lack of caramelization with dark soy. Therefore, this one is usually on the bland side and it was indeed light in flavour. 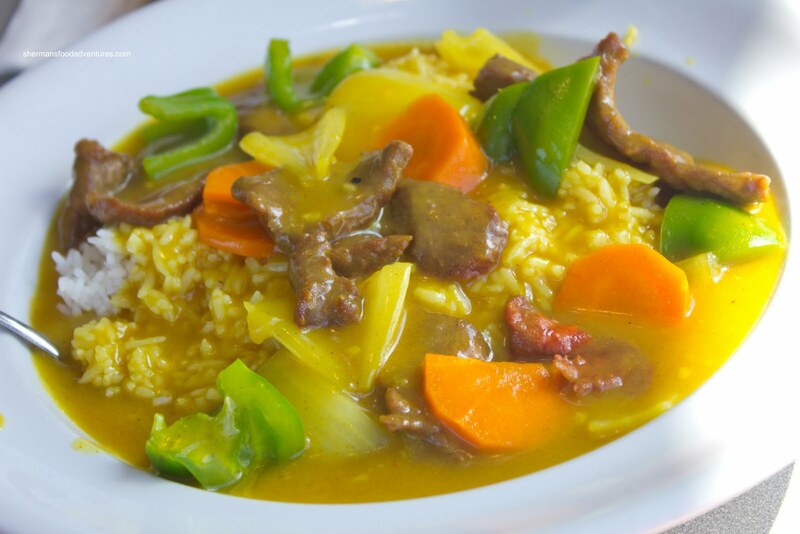 It had the same tender beef and vibrant veggies though. 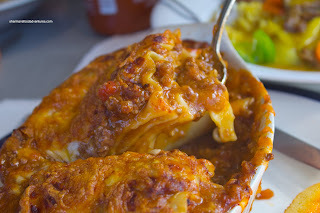 Lastly, we moved away from Chinese and had the Meat Lasagna. Okay, we knew not to expect an authentic lasagna, so bear with me here. 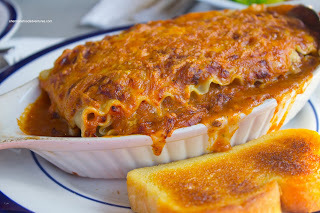 The tomato sauce was a starch-thickened concoction consisting of tomatoes, onions, meat and lots of salt. It was goopy and did not resemble a tomato sauce at all. With that being said, it was alright in a convoluted kind of way. It was a pretty large portion and the noodles were not too soft. Now if you have been paying attention, you would get the sense that the food is pretty mediocre here. However, with very reasonable prices and good portions, one can almost overlook that. 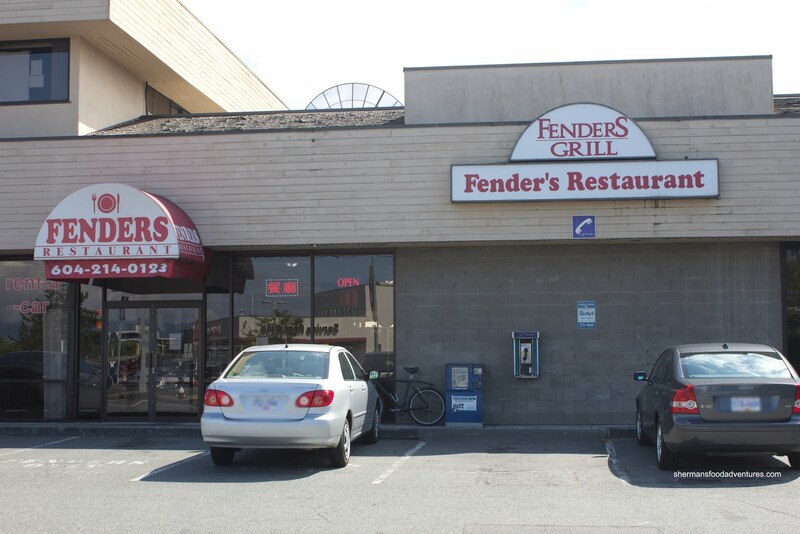 Considering there are no other restaurants really nearby, Fenders does the job for people who are there and need food. My grade 12 badminton team dinner was held here. Interesting.